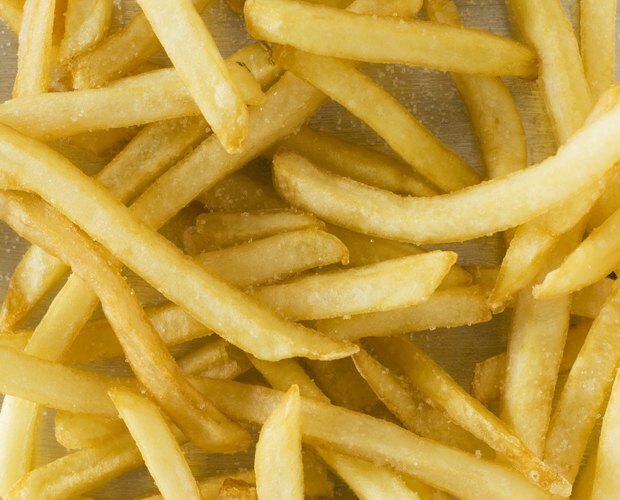 Deep fryers are wonderful machines for people who want their french fries done quickly and easily. 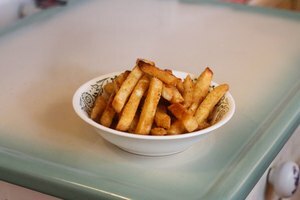 However, if no deep fryer is available, it is possible to make french fries with a plain skillet. 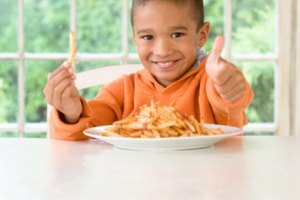 For those who don't care to make the fries from scratch, this same method will work with frozen fries. Peel the potatoes and cut them according to your desired thickness and length. Pour enough vegetable oil in the skillet to cover the potatoes. Heat the oil over medium heat. The oil should be at least 350 degrees Fahrenheit. Slowly add the potatoes to the hot oil. Do not throw them in since the oil can splatter and potentially start a grease fire. Fry the potatoes until they turn brown on one side. Use a spatula to turn them over to brown on the opposite side. Line a plate with two layers of paper towels. Remove the evenly brown potatoes from the oil and place them on the plate to drain. 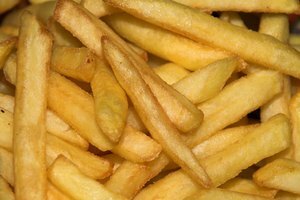 The taste of the potato depends on the kind of oil used. Try canola or safflower oil for a different kind of taste. Use baking soda, not water, to put out a grease fire.